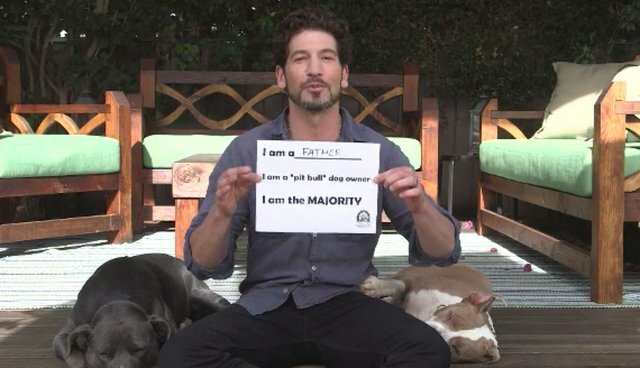 Actor Jon Bernthal, familiar to millions of viewers from his role on AMC's "The Walking Dead," has added a new role to his resume: he's the new spokesperson for The Majority Project, a campaign to show that pit bull dogs owners are ... just like everyone else. 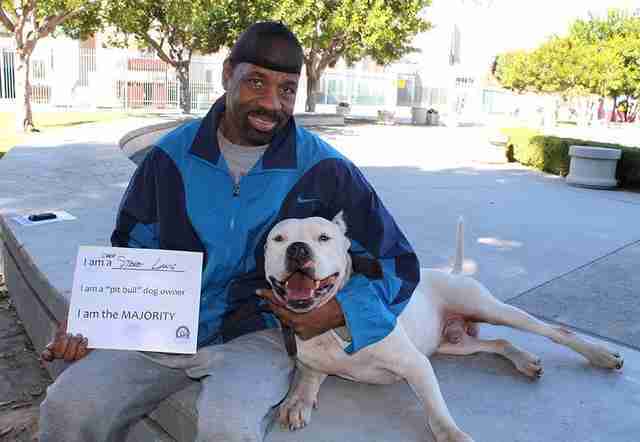 Appearing with his two dogs and young son in a 60-second clip released this week Bernthal invites ordinary people to join him in declaring themselves among the majority of pit bull owners who are responsible dog-owners and productive members of their communities. "We are not the exception," he says. "We are the rule. Laws and politics that target a dog's owner based on appearance won't make communities safer - holding all reckless dog owners accountable will." 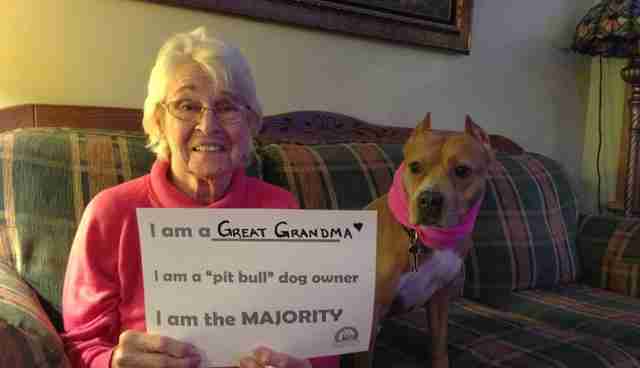 The website has already collected hundreds of submissions from around the country, with dog owners posing proudly with their canine (and human) companions holding simple signs that introduce them to viewers. "I am a _____. 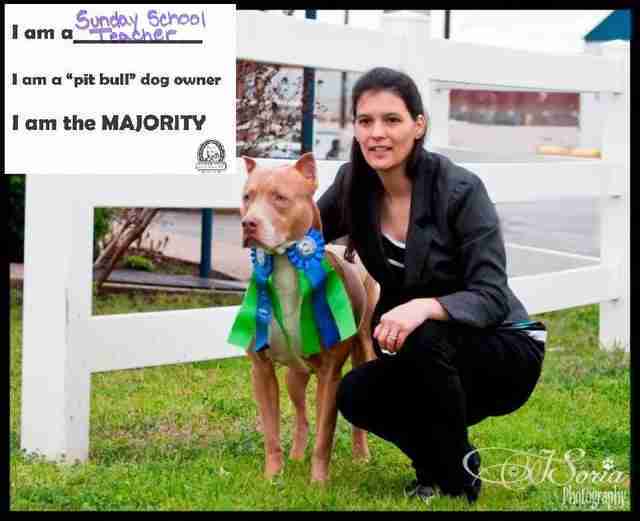 I am a 'pit bull' dog owner. 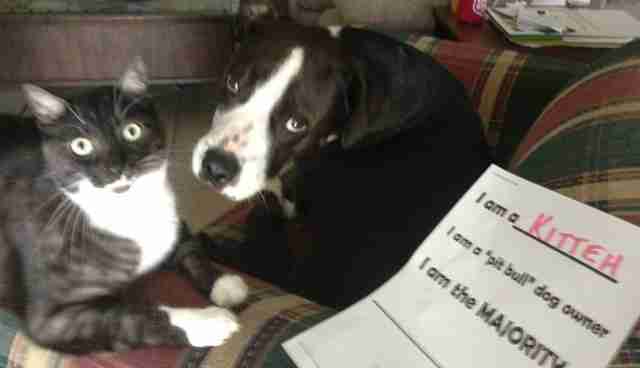 I am the MAJORITY." So far, the majority of the majority seem to favor careers in education and nursing. But every field seems to have representation. Later this month, Bernthal will film a PSA spot featuring some of the submissions, which will air on television to combat breed-discriminatory legislation and encourage more effective efforts to address the actions of individual, irresponsible owners. But the main effect these photographs may have is entirely outside of the political arena--they allow us to celebrate the pride families have in showing off their canine members. If you or a friend want to submit to The Majority Project, you can get all of the information at the website's submission page. You can also follow the project on Facebook and Twitter.